At FortisBC, we touch the lives of our customers every day, providing the energy needed for their homes, schools and businesses. We deliver electricity, natural gas and propane safely and reliably, at the lowest reasonable cost. Serving approximately 1.1 million customers in more than 135 communities, we deliver more energy than any other utility in British Columbia, approximately 21% of the total energy consumed. We do so with more than 2,260 employees all focused on quality service and customer satisfaction. As an integrated energy solutions provider, FortisBC owns and operates two liquefied natural gas storage facilities, four regulated hydroelectric generating plants, approximately 7,150 kilometres of transmission and distribution power lines and approximately 46,000 kilometres of natural gas transmission and distribution pipelines. 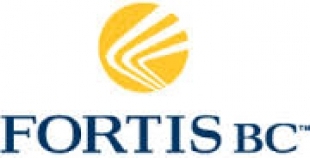 FortisBC Inc., FortisBC Energy Inc., FortisBC Energy (Vancouver Island) Inc., and FortisBC Energy (Whistler) Inc., all do business as FortisBC. We are indirectly wholly owned by Fortis Inc., the largest investor-owned distribution utility in Canada that, through its subsidiaries, serves more than two million gas and electricity customers.